What was I thinking? | In the Crayon Patch..
One week before my son’s wedding, and I would be hosting the wedding rehearsal dinner for out-of-town guests and the wedding party- a total of 48 people. Menu has been planned and organized, but there is still a ton to do. 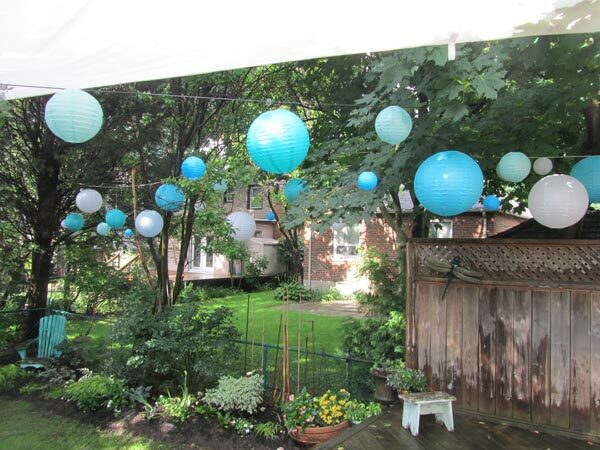 Outside, there be would be hanging about a hundred paper lanterns in various shades.. 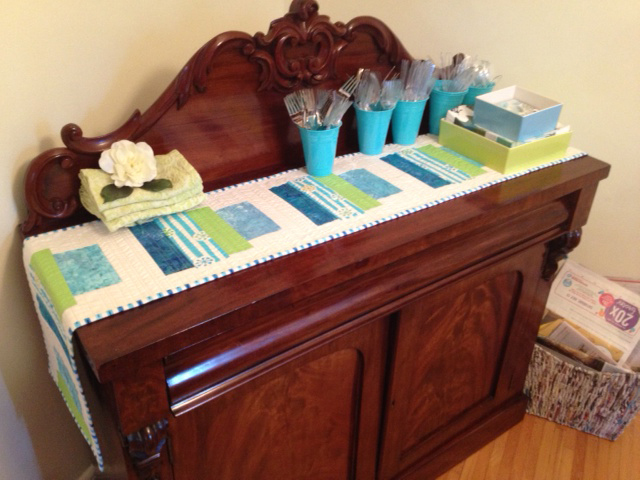 So of course I decided I need to make a table runner to match the colour theme of the evening- blues and greens. The pattern is based on one I saw on Quilting Arts website. Luckily my sister arrived a few days early to help, so she sewed the binding on for me- NOT my favourite part. But we got it done, and it looked great. The colours went beautifully with the napkin holders and napkins I had purchased. In the plastic cups on the buffet are plastic utensils. All went well at the dinner, and the wedding was wonderful. So beautifully organized by the bride and groom- so thrilled to have a daughter at last!